Rosemary & rum hints at caramelized and toasted, savory and slightly sweet, all thanks to a 2 day age of blended ingredients in the Oak Bottle Mini. Although lovely in any season, serve over ice in the warmer months as an after-dinner drink or just before nodding off as a nightcap. In the Oak Bottle Mini combine cognac, pomegranate and almond syrup and leave aging for 2 days. Fill rocks glass half-full of ice. Add one sprig of rosemary, light and allow ice to become smoked. Remove sprig once burnt and replace with new sprig safely tucked up against ice. Once aged, add ice to a shaker, contents of Oak Bottle and shake gently for 10 seconds. Strain into rocks glass. Stir in rum. 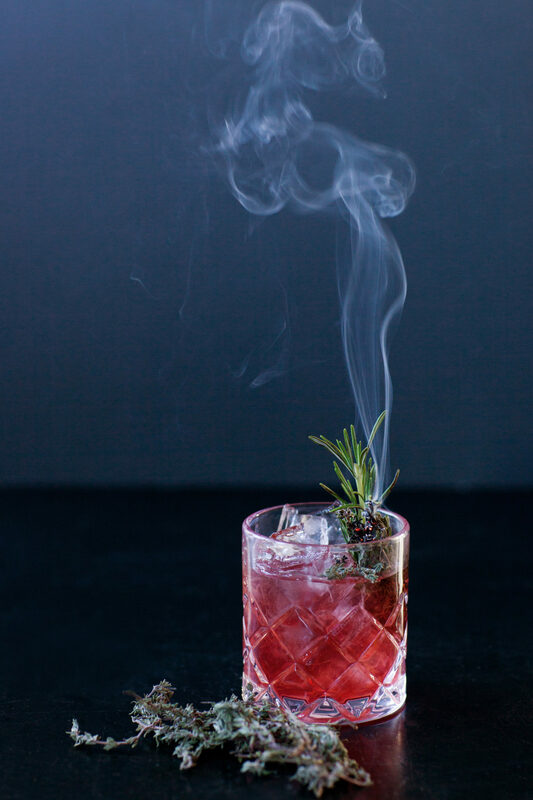 Light rosemary and allow to smoke as you serve.